Denon DJ just unveiled the Prime 4, a four-deck all-in-one standalone system that lets you spin from a variety of storage devices including a hard drive. Denon DJ just announced the Prime 4, a groundbreaking all-in-one standalone DJ system that lets you spin with up to four decks. It plays music stored on USB thumb drives, SD cards, and even on attached hard drives. 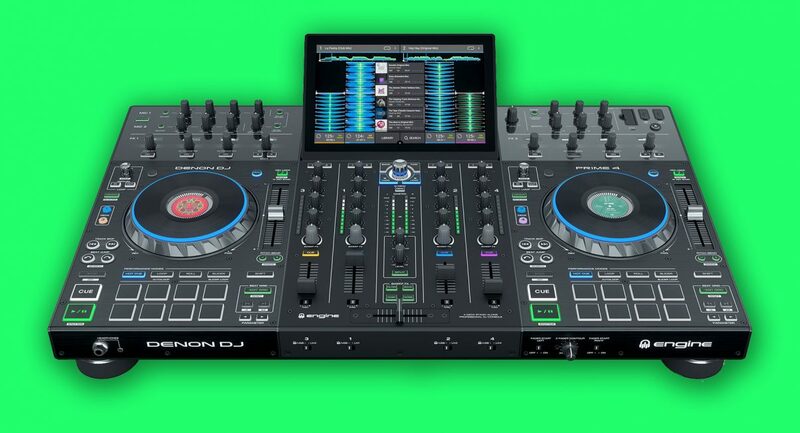 It’s got a massive 10″ touchscreen that lets you view waveforms from all four decks at once, and like the SC5000 Prime media player it has gesture controls, including gestures for dragging and dropping tracks for easy library management, track scrubbing for needle drops, and so on. You can plug a variety of storage media to play music from and to record mixes to: it has four USB jacks, one SD card slot, and a 2.5″ SATA bay for adding a hard drive, letting you take your entire music collection with you wherever you go. You can even plug in a USB keyboard to make track searching faster. The unit supports MP3 file playback as well as FLAC, ALAC and WAV files. Denon DJ’s StagelinQ visuals and automated lighting technology also gets a nod as the Prime 4 comes with it built-in, letting you take control of compatible video and lighting fixtures. 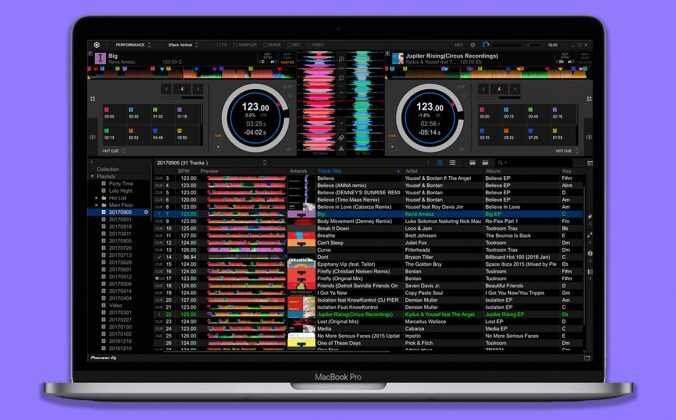 It also works with other lighting and visuals software like Resolume, and with Serato DJ Pro support forthcoming, that means it will be compatible with SoundSwitch too. 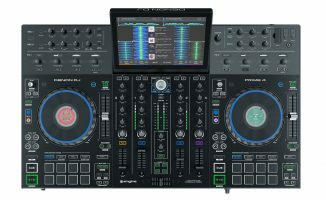 Other features include two 6″ metal jogwheels with built-in displays, 16 performance pads (eight per deck), two FX sections for controlling onboard effects, three-band EQs with gain and Sweep FX knobs per channel, long-throw pitch faders, looping controls, a crossfader curve knob and crossfader assign switches, an Ethernet port, and two mic inputs with dedicated mic sections on the face of the unit. It’s also compatible with Denon DJ’s own Engine Prime music library software. The Prime 4 looks to be an astonishing piece of kit, certainly the most powerful in the all-in-one standalone system arena. 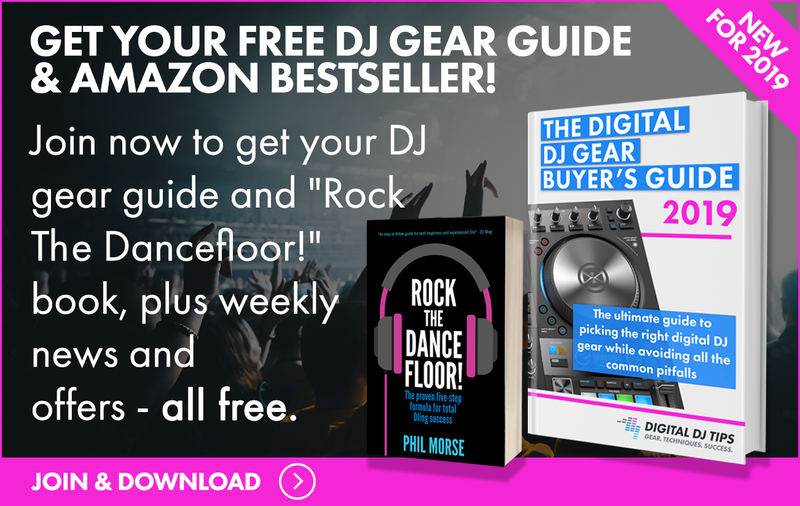 DJs who stand to benefit from it the most will be those who love the idea of spinning without a laptop in the booth, but don’t want to be hampered by clunky music searching and sorting capabilities as well as limited USB storage sizes. 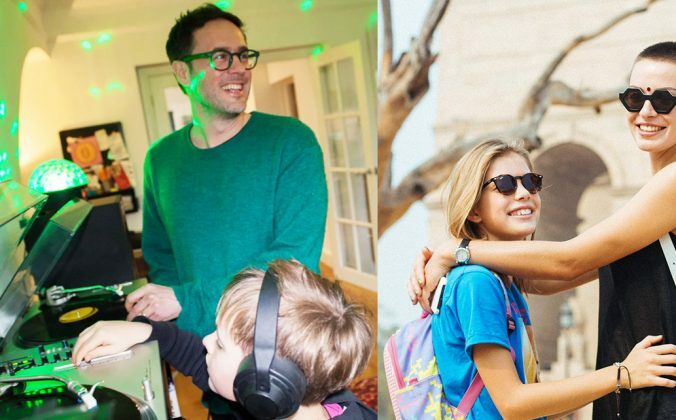 As such, mobile and professional DJs come to mind, as well as gigging DJs who use a controller and would want to be liberated from having to take along a laptop wherever they go. Club DJs who spin with media players and want a full-featured unit they can practise with at home and make mixtapes on would be another target audience for the Prime 4. It’s pricey for something to just use at home, though certainly a lot cheaper than a full-on Prime set-up. Perhaps the only shortcoming of the all-singing, all-dancing Prime 4 is that you still need a laptop to buy, organise and prepare songs to load to it – or at least some computer to load songs over onto thumb drives or SD cards. But the days of truly laptop-free DJing seem to be coming closer. 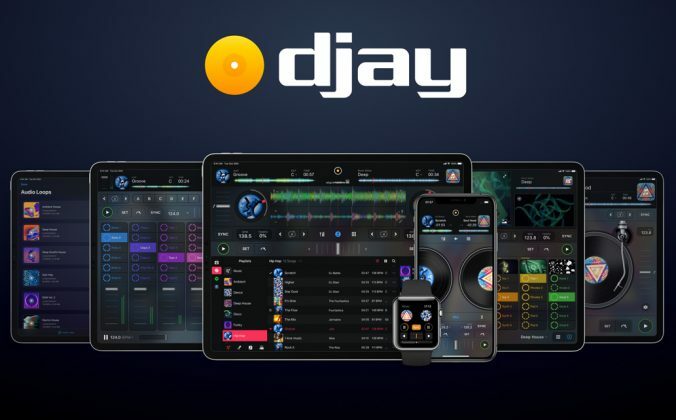 It’s not hard to imagine a day when systems like this will be able to go online and access streaming services (Spotify, Apple Music, Tidal) and online stores (iTunes, Amazon Music), which would truly usher in the streaming revolution for DJs, and a new era for digital DJing, one where computers (and even smartphones) could be left outside the DJ booth for good. 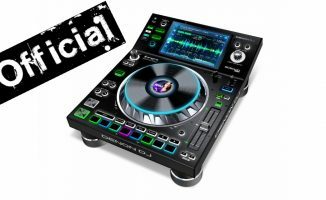 How will the competition react to the Denon DJ Prime 4? 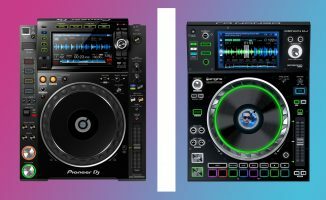 Pioneer DJ is sure to take notice because it has yet to release a four-channel standalone device, which DJs have been clamouring for since the original XDJ-RX was launched back in 2015. It has since released the XDJ-RX2, as well as the XDJ-RR, both of which are still two-channel units. 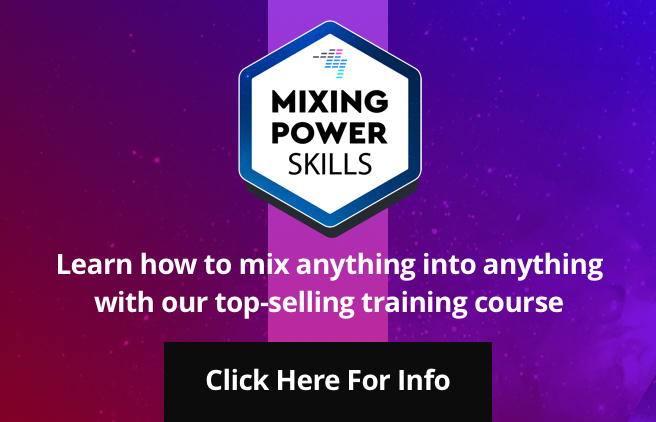 To do so requires considerable internal processing power – something Denon DJ evidently has, proven by its technologically superior SC5000 family of media players. 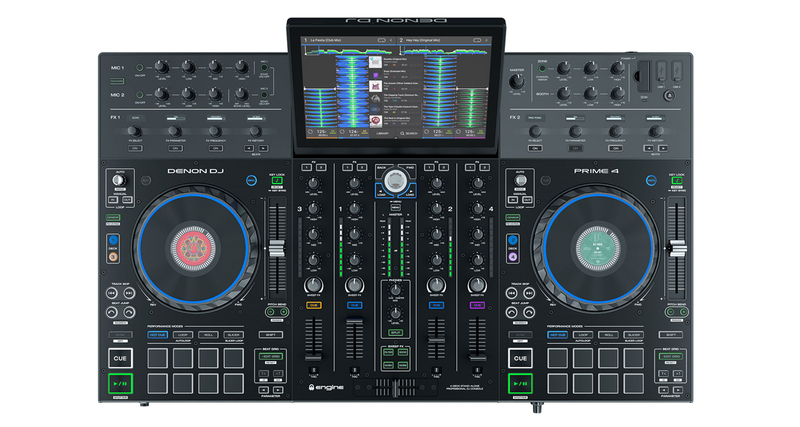 Apart from having four-decks onboard, the Prime 4 looks exciting because it potentially offers the greatest chance of leaving the laptop at home while still enjoying the “full on digital DJing experience”: the huge touchscreen and USB keyboard option makes sorting and searching for music practical, especially if you’ve got a large DJ library (mobile DJs will be pleased!). Plus, the ability to add a full-size hard drive means you can have your entire library with you – though we still don’t know just how big the maximum drive size will be, as well as how fast and efficient the unit will search for and crunch data coming from a huge library. 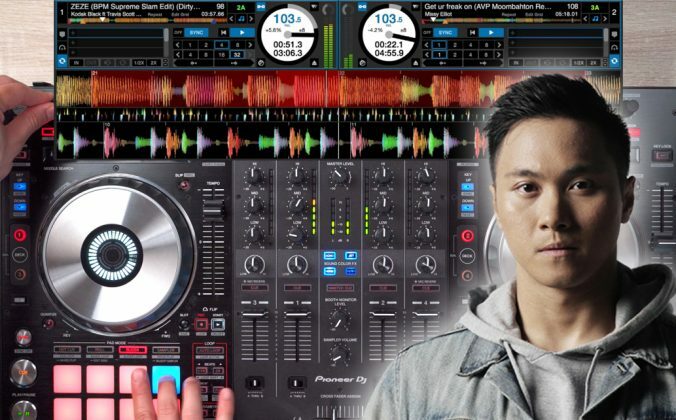 With DJ controllers and media players maturing, it seems like the next battle being fought is in the all-in-one systems space, and as of today, Denon DJ has beaten Pioneer DJ to the “four-deck system” punch with the Prime 4. The Prime 4 is also priced in the same range as Pioneer DJ’s XDJ-RX2 system, which is a stunning fact, considering how much new technology has been packed into it. We’re sure this will be a highlight of the upcoming NAMM Show, so check back next week for our on-the-ground report on this unit. 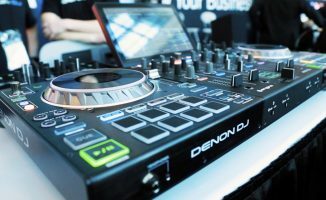 • The Denon DJ Prime 4 will be available for US$1,699 from March 2019. Check the Denon DJ site for more details. What are your thoughts on this unit? 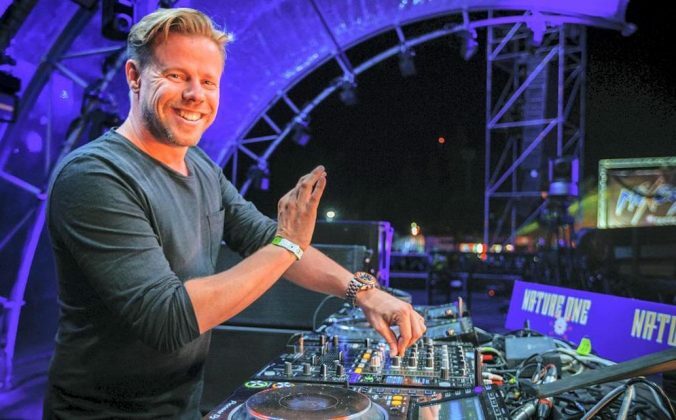 Is this the way forward for digital DJing? Or are you happy spinning with a controller and a laptop? Let us know in the comments. Unless Pioneer answer pretty quickly and in force this unit will dominate the Bar / small club needs. Same story for the mobile needs as well. For both classes, the dedicated “Zone” output, with its dedicated playlist and EQ, is a massive plus. Booth also has dedicated EQ, again very useful. Really good is that the FX units have the selected effect name below the knob, in a small screen. Finally! Also the dedicated beatjump buttons taken from Prime are very useful. Also dedicated grid adjust buttons are great! Pretty sure jog tension is a no (as they’re more like controller jogwheels). Well spotted on the FX screens, we missed that in the rush to go live. Looks good to me. Since my laptop died I’ve been holding off buying another since I’ve been looking to upgrade to a quality 4 channel controller too. This could be just what I’m looking for! This is everything I have been waiting for as a mobile DJ. If they make a “M” motorized platter version….it’s GAME OVER. Congrats Denon, you knocked it out of the park! It’s all I need to take to my functions and weddings. It does pretty much everything! Thank you Denon, but no, hell no. I had my fare share of frustating moments with the MCX8000. No willing to fall for that one again; unfinish pruduct full uf bugs, hardware and software. Good luck you all with that giant monster. Sorry to hear that Edwin. What happened? Unfinished product full of bugs? Me and a few DJ friends of mine has been using the MCX8000 on countless gigs..never had a problem. My preferred tool when I´m not using my Rane Seventy-Two/Technics 1210 set up. Rock solid! DigitalDJTips please tell me, what if i want connect this console with two sc2900 players. Does the engine automatically split the screen into two channels, instead of four? I got used to horizontal waves. Is the only vertical scratch mode waves view, or we can switch them like in Virtual DJ or something other similar software? We just don’t know that at this stage. We haven’t seen horizontal waveforms, but it’s the big thing many people are asking for. I know I’ll go ‘overstream’ but I’m not impressed..it’s a great piece of tech, absolutely!..but..I look at it as too far away to be essential..I like clean devices as much as possible..just 2 channels, some filter and effect, hot cues pads and Let The Music Play (better if on vinyl).. Absolutely fair comment Bob. I think that CHOICE is the main thing here – there is, more than ever, something for everyone nowadays. Already waiting for the draw at the end of 2019. I am waiting for DigitalDjTips !!! I love everything about it – except only being able to see six tracks in the browser. For a 10″ screen that’s dreadful. On my 10″ netbook screen running VDJ I can see at least 30 tracks in a reasonably sized font. I know this is a touch screen, but 1) you can search via a USB keyboard 2) the controller has load buttons and a browse knob – touching the screen isn’t strictly necessary. Hey Chuck, it’s not so much a if pioneer did but more a only clubs and superstars are buying flagship units. Just update the processors, jogs and firmware. I’ve always loved Denon myself but if they had went with larger jogs I would be intrigued. Besides I’ve been jumping software platforms since Final Scratch and I’m pretty sure we are all very tired of just spending money for almost and close to! I hope it is more reliable than the other Prime equipment. I have a SC5000/X1800 setup and the mixer failed within months. I looked up the problem and it seems common. My CDJ2000/DJM2000 setup hasn’t failed once in 6 years. I love the Denon setup but it isn’t as robust as Pioneer. Any way the inputs could cope with streaming (from what we know so far…)! ?